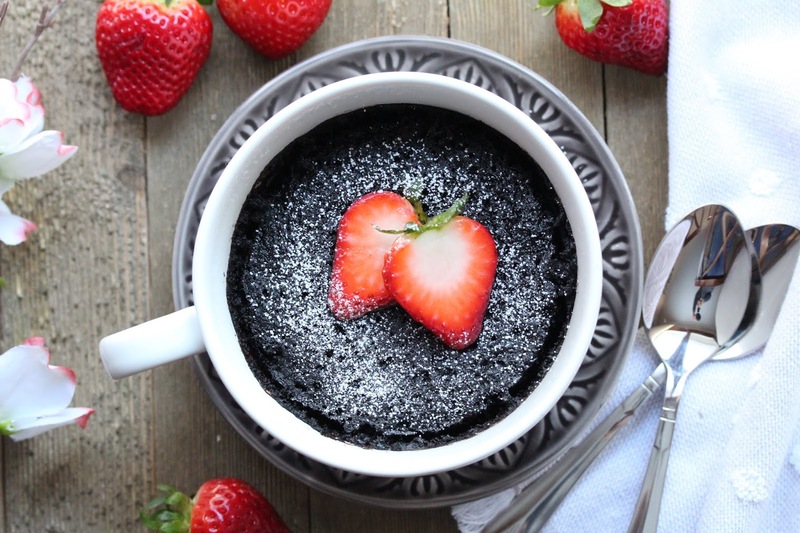 Less than two minutes to cook, chocolate mug cake is one of life's simple pleasures. With a molten center of chocolate-hazelnut-strawberry spread, this one is a treat! If you have never tried mug cakes, now is the time! Plus, this version requires no egg and no dairy! Mug cake has been around for a number of years. I tried to Google its origin but was unsuccessful at determining when it was introduced to the public. After some research, I concluded that mug cake wove its way into the mainstream consciousness around 2012-2013. If anyone wants to take the time to fact check me, please do and let me know...because I'm curious! Whoever came up with the idea, a big thank you! Mug cakes literally allows me to have my cake and eat it too! I can have a cake craving and be eating a homemade one in five minutes. All the ingredients are mixed and cooked in a cup, and it take less than two minutes to microwave. 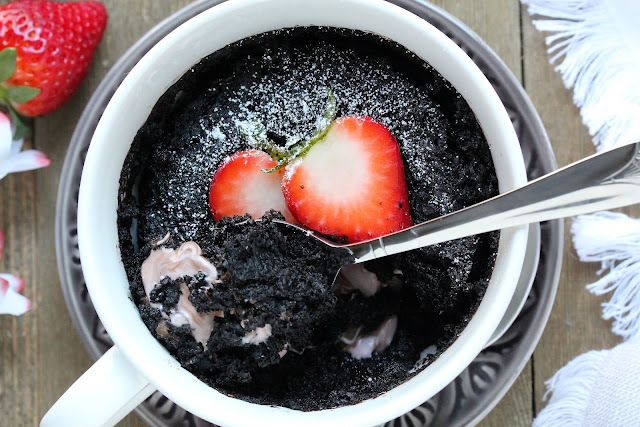 This particular mug cake is decadent, chocolaty, with a molten chocolate-hazelnut-strawberry spread in the center. While unarguably delicious as is, the center can be swapped out with peanut butter, chocolate, caramel, Nutella, or whatever speaks to you. The cake is fluffy and moist. And because it's made with dark cocoa powder, it has a rich, intense dark color. 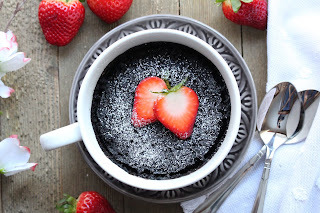 Not only is it super easy to make (if you can stir, you can make mug cake), it also has no egg and no added dairy! Since none of the ingredients requires refrigeration, this cake can be made anywhere, anytime...contingent upon the availability of a microwave. Any college student out there reading this who hasn't tried mug cake?...you're welcome! This is perfect for you! Know what? You can also easily make this in the workplace. How about surprising one of your coworkers with a piping hot molten larva cake on his/her birthday? Who wouldn't love to get one of these in the middle of a work day? How to pull it off? Keep all the dry ingredients in one container, the molten larva ingredient in another, and the wet ingredients in a third. When it's time to surprise your unwitting recipient, dump the dry into a cup, add the liquid, and whisk until smooth. Add the molten center, cover the top with one tablespoon of water, and microwave. Then get ready to belt out "Happy Birthday"! This recipe is made in a 16-ounce capacity cup, perfect for a romantic dessert for two or a treat for one with a serious snack attack. 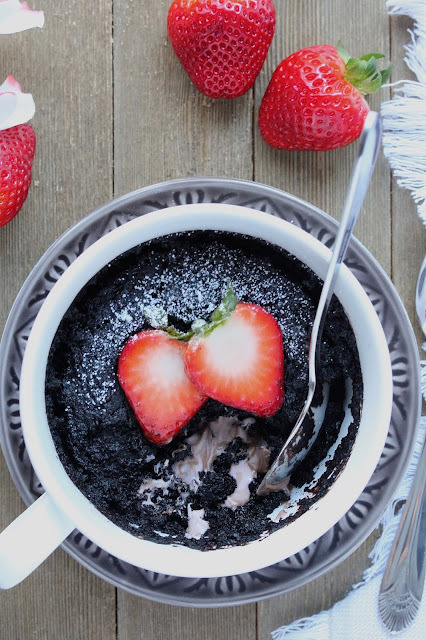 What could be more perfect for Valentine's Day than to enjoy a hot, gooey mug of molten larval cake with your honey? 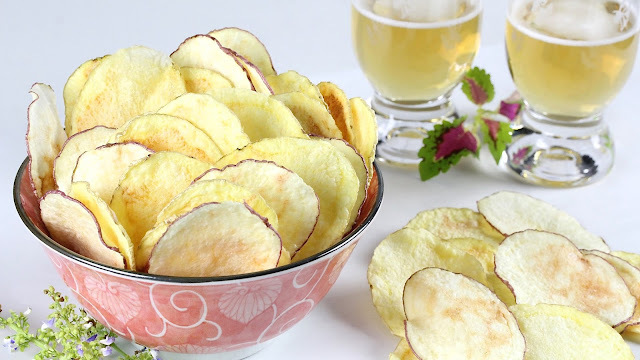 Best of all, it takes minutes to prepare and tastes just like you made it the traditional way! Serve it plain, with a dusting of powdered sugar, with whipped cream, or ice cream. There is no wrong way! In a 16-ounce microwave safe mug, add cocoa powder, flour, sugar, baking soda, and salt. Whisk to combine. Add 5 tablespoons water, oil, vinegar, vanilla, and vinegar. Whisk until smooth. Drop the chocolate hazelnut strawberry spread in the center. Drizzle the top of the batter with 1 tablespoon water. Microwave for 1 minute 50 seconds. That is the perfect amount of cooking time for my 10000W microwave. You may need to adjust cooking time slightly depending on your microwave wattage. Err on the side of less. You can always cook for a few more seconds if it is undercooked. 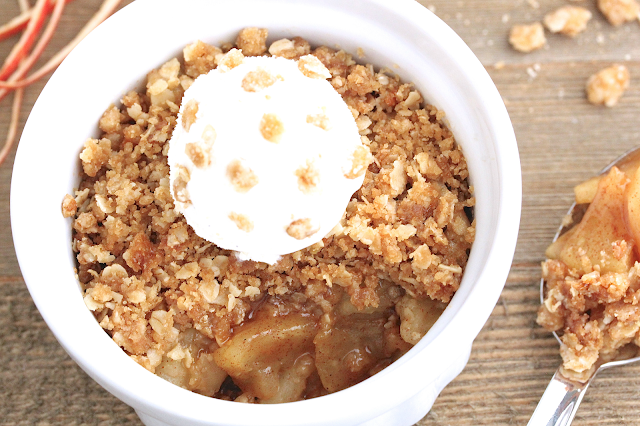 Optional: serve with whipped cream, ice cream, or powdered sugar. Do not use a cup smaller than 16-ounce. The cake may overflow during cooking. For variations on the molten larva center try peanut butter, Nutella, caramel, or chocolate chips. Cake will sink slightly as it cools. I've never made mug cakes, they definitely look gooood! As I don't have a microwave, I will have to look how I could bake these in the oven. Great idea for a Valentine's Day dessert! The strawberry chocolate hazelnut combo sounds delicious! What a fun cake! We are totally on the same page my girl! Single serving chocolate desserts that are very quick to whip up. I'm honestly considering trying your recipe out as soon as I finish up my work here. Love how quick and easy it is! Looks so yum! Single (or double) serve desserts are my friends. There's just enough and you don't have to worry about finishing up leftovers. I love "crazy cake" style cakes because you can pretty much whip it up any time. There is no egg, milk, or dairy involved and so easy! I hope you'll get a chance to try it out Katherine! !